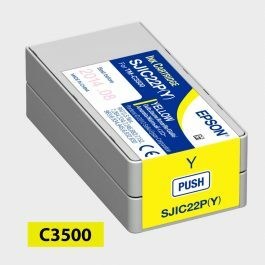 Epson SJIC22P, C3500 Magenta Ink Cartridge – Color Label Solutions, Inc. 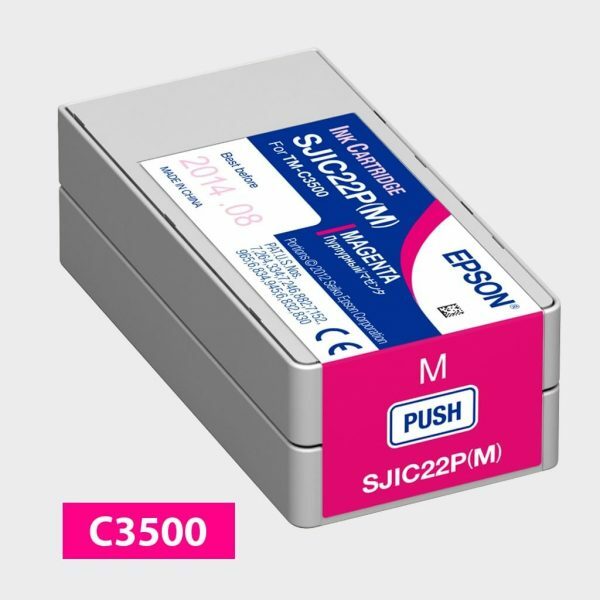 This is a pigment dye based magenta ink cartridge. This is a genuine Epson brand replacement magenta ink cartridge for the Epson ColorWorks C3500 Color Label Printer. 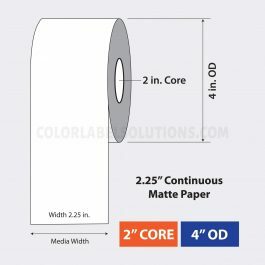 It produces crisp graphics, text, and barcodes without smudging or smearing.